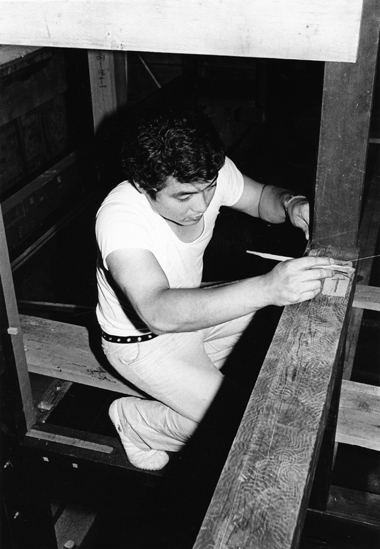 The Japanese House is built using traditional Japanese joinery construction. 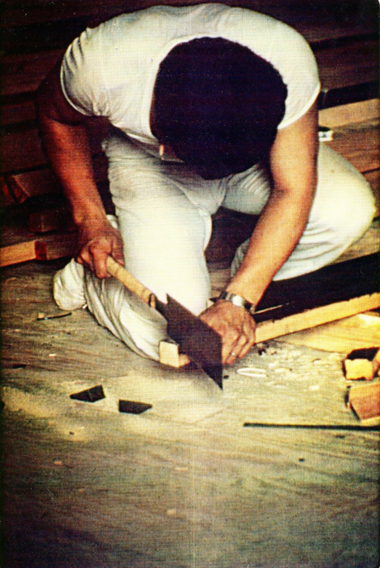 There are no screws or nails used in the framing; the ends of the pieces of wood are chiseled and cut so that they fit together tightly and strongly. 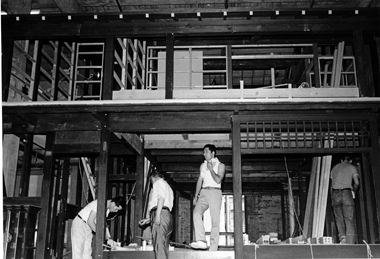 The House is built in layers, each grid fitting next to or on top of the previous one, sharing the weight and the stress. 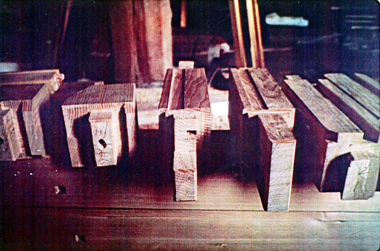 There is evidence of the hand of the carpenters in several places, such as the pine pillar separating the alcove and shrine, where a carpenter deliberately chipped the wood to vary its appearance. 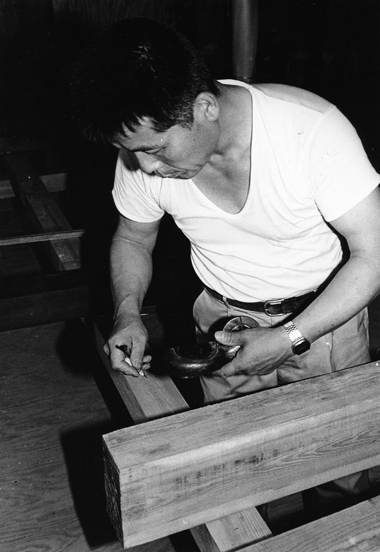 Several different types of wood are used in the House, which is also characteristic of Japanese buildings. 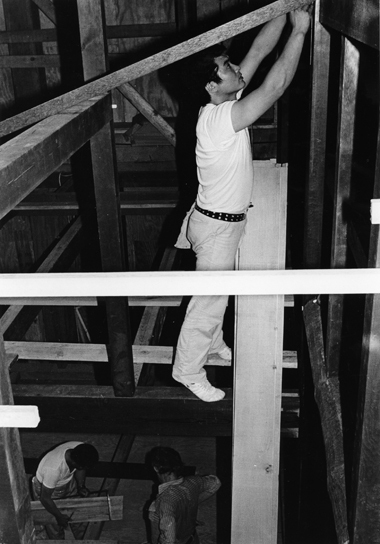 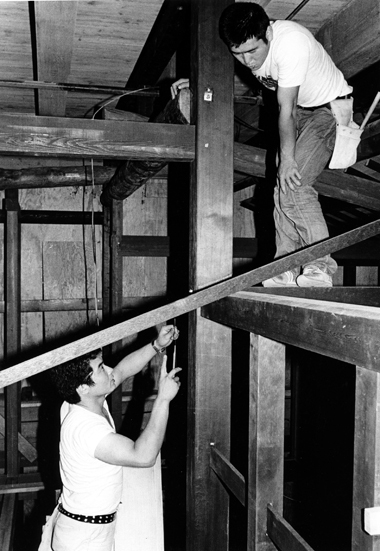 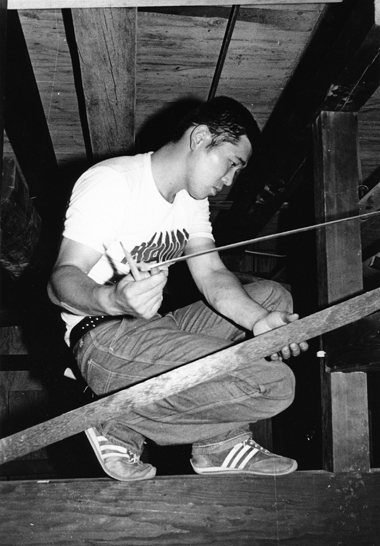 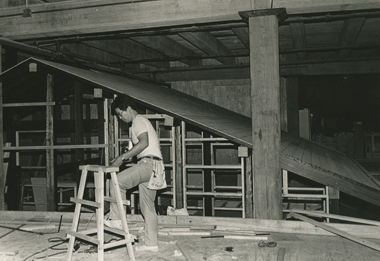 The only nontraditional Japanese work done on the House was by American plumbers, who came to install sprinklers so that the Museum would be in compliance with the building code.